This was one of my early-ish quilts, the pieces were EACH individually cut using a cardboard template. The nine-patches were machine pieced and the rest hand-sewn. After quilting for a while, I decided it was too small and the batting too thick. Ug. 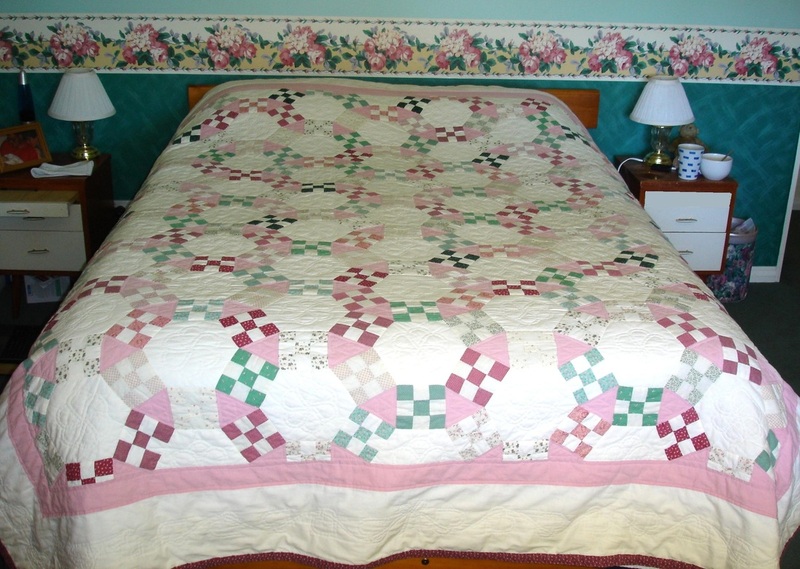 It was shoved in a closet for years before I had the heart to pull it out, unpick a lot of quilting, change the batting and add borders. Sometimes you need to forgive yourself and try again. This is my husband's favourite quilt.